JAE Engineering Ltd. is a specialist engineering enterprise, set up by Joseph Ennis and Aislinn Tate, designed to provide strategic advice to clients and construction and manufacturing teams. JAE engineering Ltd. are known for their expertise in engineering. JAE Engineering Ltd is a solution driven company, which strives to achieve their client’s goals with integrity through their knowledge of engineering and construction. 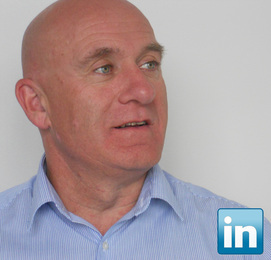 Joseph Ennis is one of the principal engineers for JAE Engineering Ltd. Joe has 36 years’ experience working within the Construction and Engineering Sectors in Ireland, UK, Europe, Middle East and Africa. He was Managing Director for Delap & Waller Ireland for 7 years. He worked for Delap & Waller for 34 years and was a senior member of staff for more than 20 years. He has a wealth of experience in all aspects of building and engineering services, in particular strategic advice to clients regarding buildings and systems, fit for purpose, system selection, and procurement. His experience of the building services Industry and Engineering Sector in Ireland and the UK is unrivaled and is current to the market today. Joe has specialised in commercial buildings, banking sector, hospital and laboratory buildings and process buildings. With 36 years’ experience his engineering capabilities are very relevant, current and applicable to today’s market. 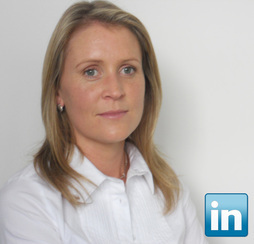 Aislinn Tate is one of the principal engineers at JAE Engineering Ltd. Aislinn has more than 16 years' experience working within the construction and engineering sectors in Ireland and the UK. Aislinn worked and trained for 14 years with Delap & Waller before joining JAE Engineering Ltd. Aislinn was one of Delap & Waller's key engineers and was a senior member of staff for many years. Aislinn has a vast experience of the industry in all aspects of Building Services and Mechanical Engineering. Her experience is current and relevant in today's Construction and Engineering Sectors. Aislinn brings a wealth of experience, creativity and enthusiasm and fresh and unique methods of working within the industry. Aislinn has worked within the fields of Mechanical and Building Services Engineering and has specialised in Health - Education - Laboratories - Commercial and Process Buildings.